Viburnum Tinus, also known as Laurustinus, is a hardy evergreen bushy shrub with masses of small pinkish white flowers. Good foliage to ground level making it an excellent hedge or screen plant. Grows 2-2.5m high x 2m wide. 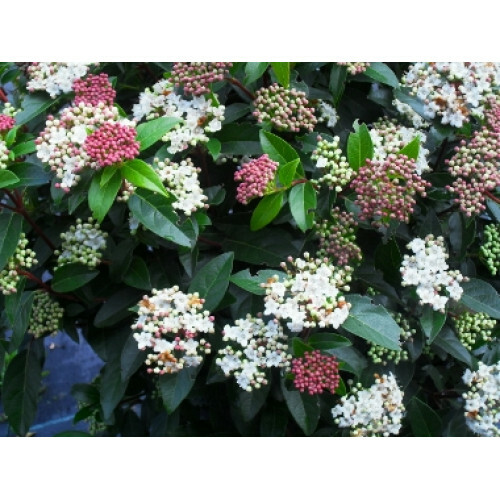 Buy Viburnum tinus plants from Online Plants - leading plant nursery Melbourne offering Australian wide delivery. We deliver to all Melbourne, Sydney, Adelaide, Canberra and Brisbane, metropolitan and regional areas.